I love having this drink in cold days. It replaces pretty well the egg-nogs I used to have as a child and it works also as an exotic alternative to regular hot chocolate. It is pretty easy to make and you can use pumpkin from a jar if you want. You can also use sweet potatoes, which work wonders. I make a version of this with cooked sweet chestnut, during the chestnut harvest season. This drink can perfectly replace a dessert or a snack, as it is very filling. Rinse the pumpkin well under water with the help of a vegetable brush. Remove the hard pieces in the skin but you do not have to peel the pumpkin if you use an organic orange hokaido pumpkin for this recipe. 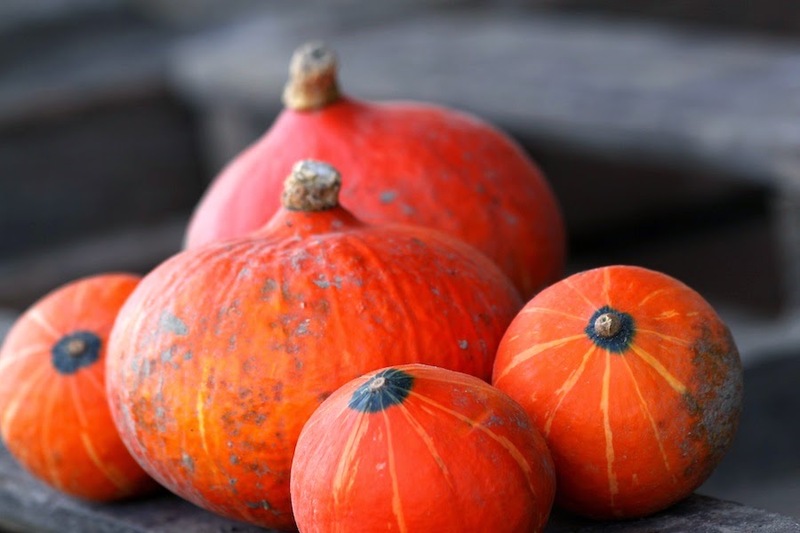 Cut the pumpkin in small blocks and bring it to cook with very little water, over low heat in a covered saucepan. It is important to cook the pumpkin with just enough to cover the bottom of the pan - I add more or less 2,5cm water level - so that the sweet taste is preserved as much as possible. 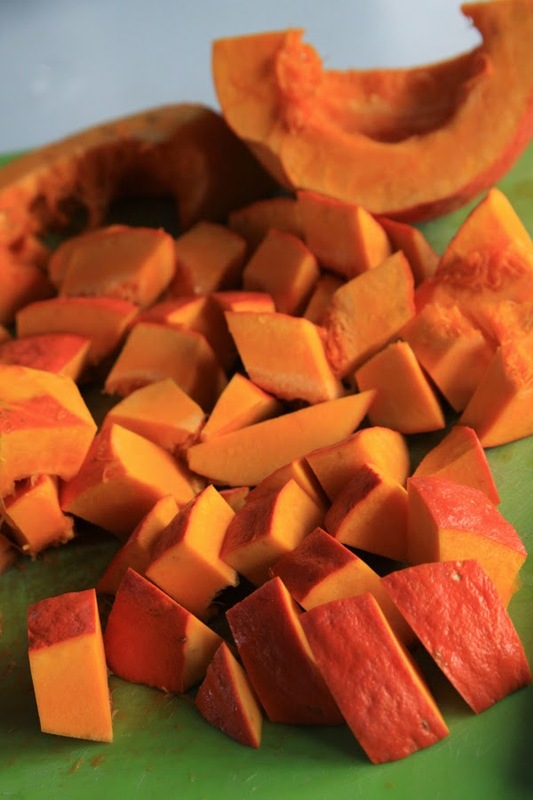 If using a sweet potato you can peel them and cook them in the same way as the pumpkin, or you can bake them in the oven, with skin and all (or in pieces, spread on a tray). It gets an even better result: sweeter and the flavour gets stronger, it does not get diluted in the water. 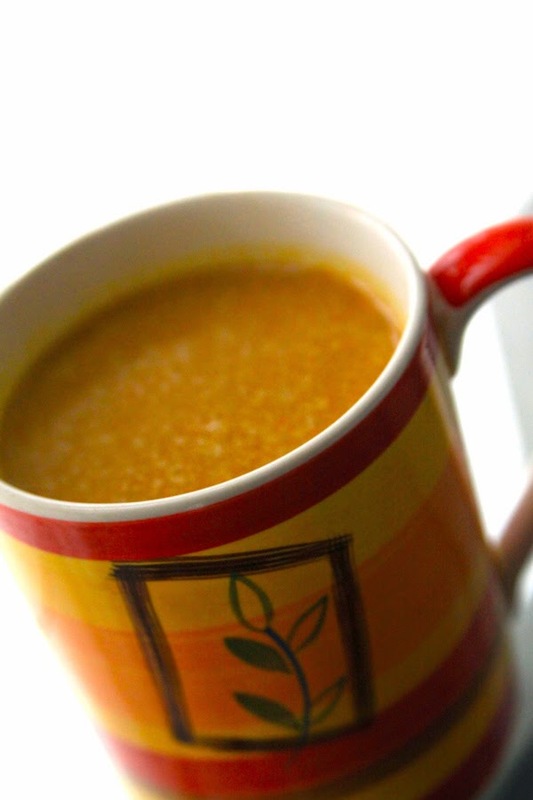 Remove the pumpkin pieces from the cooking water (or mix it all together with the water that is left, in case it hasn’t much left) out and mix it well with the almond milk, sweetener and all the spices. Warm it up briefly under medium-low fire and serve immediately. Feel free to play with the spices of your preference adding a little bit more or less than the suggested amounts here. There is no problem if you don't have all these spices at home. It works fine sometimes only with cinnamon, cardamom and mace powder for instance.